While there is still broad uncertainty hanging over the largest economies in the world, China's growth story will continue to shine in 2010. This is a country in which gross domestic product is threatening to break 10%. The government policies are all lined up for the march forward to continue. That's a pretty big rising tide to lift a lot of boats. Investing in some of the smaller-cap names in China always has been risky business for American investors. There are countless examples of a $5 stock today jumping to more than $20 in a matter of weeks. The macro China story, some evidence of company growth, and a relatively interesting story are usually enough to propel smaller Chinese stocks much higher. However, there are many risks. The same financial controls we take for granted in the West aren't as common for some of the smaller Chinese companies. There are many examples of "related transactions" and family members of entrepreneurial founders who sit on the boards or in key management positions. Boards also aren't typically as strong as in the West (which aren't all that strong to begin with). It's often frustrating for Western investors when they experience subpar investor relations, such as when there's no mention of when a Chinese company is going to release its quarterly earnings. It suddenly appears, leaving the market to react. That said, it is well worth the effort to comb through what's out there. With a focus on low valuation, growing operating earnings, and in-demand offerings, here are five stocks poised to outperform in 2010. NEW YORK (TheStreet) -- It used to be that activism was conducted by poison letters to management from Dan Loeb, or by acerbic rhetoric leaked to the mainstream press from Carl Icahn. But a new kind of activism is being waged by leading hedge funds with positions on both sides of the trade in bankrupt mall owner General Growth Properties(GGWPQ Quote). Pershing Square Capital Management, Hovde Capital, and T2 Partners are taking turns exchanging their analyses on why they think the stock is under- or over-valued. These intellectual arguments aren't just academic pursuits. They're having large effects on the stock price. Some of the smart money will be right, while others won't look so smart a year from now. Here's what you need to know to take advantage of this new kind of activism. General Growth started in 1954, when two brothers founded a strip mall in Cedar Rapids, Iowa. The company hit a $20 billion market capitalization in April 2007 and is now one of the top mall owners in the country today. But General Growth took on a lot of debt in the credit expansion and was unable to roll over this debt when the lending markets froze, leading to their bankruptcy in April. The company entered bankruptcy on April 16 with its common shares trading then at 60 cents each The shares have had quite a run since then, touching $12 two weeks ago. Back in May of this year, Bill Ackman of Pershing Square profiled the bullish case for General Growth at the Ira Sohn Research Conference. He laid out a convincing case for the unique value embedded within General Growth. Unlike the vast majority of bankruptcies, Ackman argued General Growth's was unusual because its net assets were greater than its net liabilities. The company had a liquidity issue, not a solvency issue, Ackman said. Occupancy rates were still high, net operating income (NOI) was steady, and the company owned some of the more prestigious malls in the country across a wide footprint, he contended. In the extremely conservative scenario, Ackman suggested that the equity value of General Growth was $10 per share at that time. With more normalized assumptions, giving value to the management company and several undeveloped properties and assets, Ackman said the equity value per share would be above $30. As long as the broad economy didn't sink into a severe recession, Ackman said he expected there would be value for equity holders after creditors were compensated. Earlier this week, both Citigroup (C - commentary - Trade Now) and Wells Fargo (WFC - commentary - Trade Now) announced that they were going to sell stock in order to get out from under the constraints put on them by the government when they needed help a year ago. Of the big banks, these were the last to get out from TARP.Wells Fargo sold $12 billion in stock at the beginning of the week, and on Wednesday night, Citigroup priced $17 billion for sale at $3.15 a share. It was only last week that Citi had floated the idea to the press of doing a capital raise at $4 a share. What's a 22% haircut between friends? Citi's price was so much lower than expected that the government decided to hold back from selling $5 billion of its holdings as part of the offering. The offer price was actually a dime lower than the price at which the federal government bought its stake. Instead, the government said it would wait up to a year to sell its stake. It would be a political nightmare to have to explain to the American people that the government had lost money bailing out Citigroup. These two banks are following the lead of others, including JPMorgan Chase (JPM - commentary - Trade Now), Goldman Sachs (GS - commentary - Trade Now), Morgan Stanley (MS - commentary - Trade Now) and Bank of America (BAC - commentary - Trade Now), which have already paid back the TARP. Bank of America was the last of these to pay back the government, and it raised the most money in the public markets to do this: $19 billion on Dec. 8. Some have speculated that the tepid response to Citi's stock offering was because the market was fatigued after the stock sales of Bank of America and Wells in the last few weeks. I believe this logic is off. The market's response was tepid because there was a reason why Citi was the last one to go to the market to raise money. It has a lot of problems still facing it. Wells is in a similarly challenging position. An interesting legal battle is shaping up in the Supreme Court that could invalidate most or all of the Sarbanes-Oxley law, which is intended to make all public companies better at overseeing their internal accounting. The main issue has to do with the governance structure of the board of the Public Company Accounting Oversight Board (PCAOB), which was set up at the time the law was passed in 2002 to oversee its successful implementation. The plaintiffs argue that the PCAOB's board is not accountable enough and must allow for the president to appoint members to the board. Because this is currently not allowed, they argue the whole Sarbanes-Oxley law must be struck down. Ironically, many companies who support this effort to strike down Sarbanes-Oxley (due to the higher costs of internal accounting oversight), also support blocking their own shareholders from having more of a say on who gets appointed to their own board of directors. What's good for the goose is apparently not good for the gander. Sarbanes-Oxley's legislation, especially section 404, has been a bugaboo of business -- especially small business -- since its inception. Recall that the law was passed in the wake of the major scandals like Enron, Tyco, Worldcom, Parmalat, and others during the dot-com bubble. At the time, President Bush and other politicians expressed outrage that so many large and well-known companies could have so easily perpetuated accounting fraud for so long, with no consequences -- until they were forced into the light. Most of these companies went under and, with them, the pensions and 401Ks of many hard-working and innocent executives and employees. When the history of the financial meltdown of 2008 is written, there will be a special chapter devoted to the large credit-ratings agencies and their culpability in slapping "AAA" on the subprime mortgages and corporate debt that turned out to be toxic assets. Yet we still don't know if that chapter will close with a regulatory overhaul of a now battered industry, or with lost political momentum that leaves us with the status quo. For years, the Big Three ratings agencies, Moody's (MCO - commentary - Trade Now), Standard & Poor's (a unit of McGraw-Hill (MHP - commentary - Trade Now) and Fitch (a unit of French company Fimalac), had thrived on an "issuer pay" business model. The companies that brought their debt to market paid the agencies to rate the risk to investors of buying and holding those products. This business model proved far more lucrative to the ratings agencies -- Moody's and its cohorts have historically enjoyed operating margins of more than 43% -- than the one they used prior to the 1970s, when it had been the prospective investors who paid for the ratings. They also enjoyed a regulatory advantage. The Securities and Exchange Commission certifies Moody's and other ratings firms as Nationally Recognized Statistical Ratings Organizations, an accreditation granted under strict scrutiny. Only NRSROs can rate products that certain investors are required by their internal rules to hold, which effectively gives the Big Three a steady stream of customers. In a financial system built on investor confidence, the ratings agencies were supposed to provide the underpinning for that trust. But in the wake of last year's financial debacles, it is the agencies themselves who are struggling to explain why anyone should trust their judgment. Global wind power is estimated to be a $23 billion market, and one of the fastest-growing markets in the space is China. In 2006, China accounted for just 9% of that total amount invested, but if current growth rates continue, China will become the leading wind farm user in the world. Additionally, the government may endorse the technology in an effort to reduce extreme air pollution in coastal cities. Clearly, anyone interested in investing in wind technology should have China on his radar screen. There are more than 40 suppliers -- domestic and international -- competing in the Chinese wind market today. Any Chinese governmental edicts favoring the industry would obviously first benefit the domestic suppliers, and that's where today's pick comes in. China Wind Systems (CHWY - commentary - Trade Now) is a very small player in the Chinese wind market. It has small market capitalization (just $64 million) with a very low trading volume (just 17,000 daily average over the last three months), making it highly speculative. Its primary business is to supply the gearboxes and bearings used in windmills. Although it's not a model of good corporate governance, a number of characteristics make China Wind an attractive long investment at the moment. Hedge funds have received more than their fair share of criticism in the past two years. They've been called too secretive, overpaid, indulgent, bratty and -- most seriously, because of the regulatory implications -- dark pools of potentially overleveraged capital highly correlated in risk with other financial institutions. I think all these characterizations are distorted, although there's an element of truth in them. Drive around the Hamptons in the summer and you too might roll your eyes at some of the excesses of hedge fund managers. But when you review 2008, no hedge funds of any consequence were at the center of the meltdown (aside from Bernie Madoff, but he was simply a fraud, not a hedge fund). Some failed, but there was not one government bailout of a hedge fund. Most regulatory concerns about hedge funds today relate to a hedge fund that has been out of business for more than a decade: Long-Term Capital Management. When it blew up in 1998, its infallible Nobel laureate managers saw their losses get multiplied 40 times because of excessive leverage. Worse, those losses were amplified because LTCM's counterparty banks had mimicked many of the fund's trades. Leverage at many hedge funds appears to be much more in check these days. Funds are also much more secretive about their trades. What a difference a week makes. Last week, as we huddled over turkey and gravy, most of us worried about the contagion effect a Dubai World bond default might hold for similar sovereign and corporate debt and worldwide equities. A quick news release earlier this week saying the amount of debt at risk was less than initially feared and some soothing words from the U.A.E. central bank about providing liquidity was enough to buck up market spirits. We've had an upbeat week so far. But what lies ahead? Although we'll know more in the next two weeks about what actually happens with the Dubai World default, it's clear this is a company in need of cash. That could mean a quick sale of easy assets -- no matter what its creditors finally decide. I recently chatted with Rob Curran of the Wall Street Journal about "Shareholder Empowerment" using the web. I talk about my 2007 Yahoo! campaign, fighting Terry Semel, and what other smaller investors should think about if they're considering launching their own activist campaign to unlock shareholder value. The audio interview is linked to here. The original WSJ article is here. Technology keeps making it easier for the small investor to be heard. Thanks to the Web, shareholders have not only more information, but more ways to share news, ideas and issues about the companies they invest in. Message boards, blogs and email have all amplified the voice of investors to the point where it's no longer necessary to be a mogul to get the company's ear. Technology, in the form of online shareholder voting, has even thrown open the doors to annual meetings. Here are five ways the Internet gives small stakeholders a greater voice in the boardroom. 1. Participate in Annual Meetings and Conference Calls. In May, Intel Corp. became the first major company to allow shareholders on the Web to vote and submit questions as if they were on the floor of the annual meeting. Moreover, a handful of small companies, including furniture seller Herman Miller Inc., have saved money by switching to "virtual" shareholder meetings instead of renting halls (although some critics have questioned the value of sacrificing personal interaction for the sake of increased participation). Other companies, such as Wal-Mart Stores Inc., beam live video and Twitter updates from their meetings. As of late November, about 40,000 people had watched the video stream of Wal-Mart's June meeting, says Carol Schumacher, vice president for investor relations. Wal-mart says it hasn't allowed remote-participation in its annual meetings so far, saying it lacks the capacity to answer questions from online viewers in addition to those from attendees. Quarterly earnings calls, a function once reserved for industry insiders, are showing signs of opening up as well. In March, digital-display maker Microvision Inc. began using its corporate blog to solicit questions from retail investors for its quarterly call, in effect opening the call up to any interested party with a computer. Matt Nichols, the director of communications for Microvision, says shareholders that frequented the company's investor-relations blog had asked for a way to participate in the calls. "As technology improves…the opportunity for participation is there," says Brad Barber, a professor of finance at University of California Davis and the director of the Center for Shareholder Welfare and Corporate Responsibility. "I think what's missing is interest in participation." He adds: "Reducing the cost of participation is part of this, [but there's] also engaging the shareholder to show them they can have influence and power." While it's nice to open up annual meetings to more people, it's the votes that count. Starting this year, the Securities and Exchange Commission required publicly traded companies to give investors the option of voting their proxy ballots online. In theory, this could be an easier way of voting than filling out the proxies and returning them in the mail. But online voters still have to punch in codes. Employees of institutional money manager TFS Capital recently launched a side project, Moxy Vote, an independent venture that intends to mobilize retail investors by simplifying the voting process and providing information on the issues at stake. By visiting Moxy Vote, investors can see where advocates stand on corporate elections and also view a running tally of votes. There are two ways to use the site for voting. Investors can visit Moxy Vote and punch in the code from the proxy they received in the mail. Or, if an investor registers and provides his or her brokerage account number, Moxy Vote officials say no more codes will be necessary. In this case, the member receives an e-mail notification of a coming ballot from a company in his or her portfolio, then clicks through to moxyvote.com. On the home page, the member will see short explanations of the issues at stake in every coming vote—whether it's a director election or a resolution on energy-efficiency standards. The member will also see the recommendations of advocacy groups on the site. Once cast, the vote is processed by Moxy Vote partner Broadridge Financial Solutions Inc., which has long tabulated voting for many U.S. companies. The members can align themselves with one of the 14 advocacy groups that have signed up so far. 3. Use the Message Boards, but Be Skeptical. One of the places where shareholders exchange information most freely is on the message boards, or chat rooms, for publicly traded companies on Web sites such as Yahoo Finance. Postings can include transcripts of revealing conference calls, links to news articles and even legal documents with an impact on a company's earnings. Be aware that bulletin boards attract persons who are mainly trying to boost or deflate stocks, sometimes by using fraudulent information. Advice on penny stocks, those worth $5 or less, should be taken with an extra pinch of salt. Users may do well to independently verify information they find on message boards. If a message refers to a damaging SEC filing, try to find that filing on the SEC Web site (sec.gov). If a news article is mentioned, look for the article on the Web site of the news provider. And don't be reluctant to ask questions of the companies themselves. "The Internet is a wonderful tool for providing information, but the dark side of the Internet is it's a wonderful tool for providing misinformation," says Professor Barber at UC Davis. One good information source that's not linked to a particular company is Shareowners.org, a nonprofit advocacy group for small shareholders. More than 400 activists regularly post updates on their causes on the site or through links, says the group's chairman, Richard Ferlauto. The site also allows users to petition Congress on financial-reform issues. An issue that's currently hot, Mr. Ferlauto says, is a proposal that would force companies to include dissident board candidates on proxy information sent through the mail. Currently, proxy materials only have to name a company's own candidates for board seats. 4. Keep Up With the Blogs. Or Start One. Business and financial blogs have multiplied in recent years, providing platforms for shareholder activists, industry insiders and corporate officers alike. Eric Jackson, a blogger, shareholder activist and managing partner of Naples, Fla.-based Ironfire Capital LLC, conducted an online campaign to reform Yahoo Inc. in 2007, a time when many shareholders were upset about the stock's performance and company business model. Mr. Jackson, who says he had fewer than 100 Yahoo shares at the time, rallied support by listing "nine points" for Yahoo's improvement on his blog, posting video on YouTube.com, and creating a Facebook page. Eventually he won the public support of roughly 100 shareholders and spoke at the annual meeting, although Yahoo says his points were never part of the official agenda. Still, many shareholders voted against the board at that meeting, and a week later, Chief Executive Terry Semel quit. Mr. Jackson and his supporters represented a tiny portion of the total votes, and weren't the only shareholders unhappy with the performance of the board—proxy advisory firms also advocated votes of no confidence. Still, Mr. Jackson believes that Internet campaigns like his do have an effect. To be successful, would-be campaigners need to target companies with a high profile and be prepared to invest a lot of sweat equity, he says. Some corporations, such as Dell Inc., maintain investor-relations blogs, one of the few venues outside press releases where companies discuss financial information—while staying within the bounds of SEC fair-disclosure rules. Unlike press releases, the blog entries also give readers an opportunity to interact with the corporate officers. Nell Minow is editor and cofounder of the Corporate Library, a nonprofit that campaigns for better corporate governance. The organization uses its blog (www.blog.thecorporatelibrary.com) to help push reforms through Congress and to awaken small shareholders to the dangers of apathy. The government, Ms. Minow wrote in July, should "remove obstacles that currently prevent oversight from those who are best qualified and motivated to manage risk—the shareholders." 5. You Can Always Try Email. Ms. Schumacher, the Wal-Mart executive, estimates her department receives roughly 100 emails a week from shareholders and tries to answer as many as possible. Investors can try to reach top executives and directors directly as well, even if their email addresses aren't public. Use a search engine to find email addresses of employees at the company. Then use the same convention with the name of the executive. For example, if you see an example such as j.smith@company.net, try to reach the executive using their first initial and last name. Try different combinations until the message doesn't bounce back. But sometimes old-fashioned ways are best. "When I want to get hold of a CEO, I send a certified letter," says Mr. Barber. "That way, I get something signed to say they got it." — Mr. Curran is a writer in Texas. He can be reached at reports@wsj.com. Reports are out today that several of the candidates under consideration for the top job at Bank of America(BAC Quote) have called on the board to consider breaking up the bank. They are having none of it. As a result, the CEO search for Ken Lewis' replacement continues. All in all, you would have to give the board of Bank of America an "F" for how they've monitored management and succession planning since a firestorm enveloped the company last Fall. Primarily blame for the lack of preparedness the board has shown to having a successor for Ken Lewis waiting in the wings lies at the feet of Hugh McColl, Lewis' predecessor. McColl has really shaped what Bank of America has grown into. It won't change until his ghost leaves the board by having directors he appointed step down. On a "Frontline" episode from last year describing the financial meltdown, McColl, who is still the bank's chairman, recounted how he'd masterminded turning the small NCNB National Bank of North Carolina into the Bank of America juggernaut. He said that, as a company, "you're either growing or you're dying." He took that advice to heart and did a series of acquisitions of companies to create a national titan in banking. And that's why it's unlikely this bank will break itself up now or while McColl is still around. It's just not in their corporate DNA. Bank of America is the house the Hugh built. He hand-picked his board to be his lapdogs. He hand-picked his successor, Lewis, to carry on exactly in the fashion he had led the bank. Lewis didn't miss a beat. In fact, he took it up a notch, making increasingly bigger acquisitions. Lewis' tenure as CEO will be defined by his acquisitions of MBNA, Fleet Bank, Countrywide, and Merrill Lynch. The bank is now enormous. Yet, Lewis didn't like how he was treated by the government and the press. He was used to being seen as Ken the Conqueror, not a lightning rod for criticism. So, he decided to take his ball and go home. His decision to quit after the summer left the board completely flat-footed. Succession planning is only something a company is judged on when they do it badly. The fact that Bank of America is now having such a hard time filling the top spot signals how poorly equipped this board was to do scenario planning. It's a pretty basic question that every board must always think about: what would we do tomorrow if the CEO got hit by a bus? Most of the time, there are two to three internal candidates' names which easily come to mind. Nine times out of 10, a board would rather select an internal candidate for the knowledge of the company, industry, customers, and employees who will be able to take the company forward. All of the largest banks in America appear to have done a poor job of internal talent development, but Bank of America is by far the worst. Why? At the end of the day, the bank's directors were charter members of the "Friends of Hugh" club. Their primary job as a director was to rubber-stamp whatever Hugh wanted to do. If Hugh didn't bring up the issue of succession planning, it didn't need to be considered. That's why, starting after the spring shareholders' meeting (at which there were several directors who received large numbers of "against" votes) the Federal Reserve has started reassembling the board of directors. That's something we first started mentioning here over the summer. This revamped board was still not able to get an effective succession process in place to prepare for Lewis' surprise departure. They should entertain all kinds of scenarios such as breaking up the bank. In my view, it epitomizes a "too-big-to-fail" financial institution and hasn't demonstrated that it can manage the disparity and scope of so many businesses. If the Fed really wants to see the company change though, it should remove all directors who have ties to Hugh McColl. Once that happens, this board will start to rethink how this bank should be run from a truly fresh perspective. And they’ll probably conclude it does need to be broken up. At the time of publication, Jackson did not have any position in the stock mentioned. Facebook announced last week before the Thanksgiving holiday that it has created a dual-class share structure. If you are an existing shareholder, your shares now have 10 times the voting power of any subsequently issued shares. It's widely viewed as a precursor move to holding an IPO in the next year or two. Facebook has tried to cloak the announcement in language of "ensuring the company can continue to focus on the long term to build a great business." But, make no mistake, this is a pure power grab by founder Mark Zuckerberg to avoid being accountable, while raising money on the cheap. Dual-class share structures are good for enriching and entrenching management but bad for public shareholders, as companies using these structures tend to underperform their peers over time. 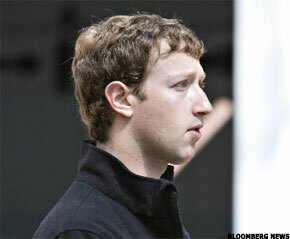 Mark Zuckerberg is no Jeff Bezos, Larry Ellison or Steve Jobs. He's nowhere close -- for the moment. He's a guy who started a social Web site that wasn't as creepy as MySpace was at the time. It has become the de facto standard for social networking with traffic that almost surpasses Yahoo! (YHOO Quote). Congratulations to him and the many talented employees there. However, there are many warning signs -- in addition to this new dual-class structure -- about how Zuckerberg runs the company that should give pause to investors considering buying into a future Facebook IPO. First, there was the legal controversy surrounding the founding of Facebook. Remember the Winkelvoss brothers at Harvard who claimed Zuckerberg had copied their ConnectU site (which they'd hired Zuckerberg to do some work on) back at Harvard? That claim, after dragging on for year, was settled out of court for $65 million at the time (although that number fluctuates with the current valuation of the company, as it was partly paid in Facebook stock). We'll never really know the truth around what happened back at Harvard, but we do know they had a legitimate claim that they pursued for several years and that it was never dismissed. More worrisome about the long-term health of the company is that there has been a steady stream of senior executives surrounding Zuckerberg who've exited the company over the past three years. If there were one or two, you could chalk it up to someone's personal situation or "pursuing new opportunities." When there are 13 departures, it's fair to ask what are they running away from. Co-founders Dustin Moskovitz, Chris Hughes, Andrew McCollum, and Eduardo Saverin; COO Owen Van Natta; CFOs Gideon Yu and Mike Sheridan; Marketing VP Matt Cohler; President Sean Parker; CTO Adam D'Angelo; VP of Product Development Doug Hirsch; VP of Sales Tricia Black; and VP of Engineering TS Ramakrishnan. Mark Zuckerberg is the common denominator. Is there a common thread to the ... people leaving? ... One shared sentiment ... is that Mark is a very demanding person to work for; if you screw up, one day you are in, the next day out, persona non grata. Some folks chalk that up to immaturity on Mark's part." Sheryl Sandberg was brought in from Google (GOOG Quote) to be Facebook's COO in March 2008. At the time, the move was spun as an older, senior executive coming to help the 25-year-old CEO. Yet, it doesn't appear that Zuckerberg's power as CEO or his intention to remain as CEO for the foreseeable future have lessened since Sandberg's arrival. It is a bit of an awkward position for Sandberg to be in. She's senior, yet she has no real power. In the meantime, she reports to someone 15 years younger. It would make sense if she were promised a deal to get the brass ring at some specified date in the future (and maybe such a deal exists), but it certainly appears that "Zuck" isn't going anywhere for now. There were some rumors around Sandberg's departure from Google being more about moving away from clashes she had with other executives and less about moving toward a great opportunity. Those rumors have never been substantiated. The bottom line, though, is that future IPO investors can't rely on Sandberg to protect their interests as long as Zuckerberg stays in charge. You can argue that Zuckerberg has -- in addition to riding a wave of goodwill and traffic -- also raised significant capital for the company at valuations that were very favorable to him, other founders and his employees. More than $716 million has been raised by this company over the years -- most recently at a $10 billion valuation for the company. Yet the vast majority of the significant capital recently raised by the company (from Microsoft (MSFT Quote), Li Ka Shing and DST) was raised by Owen Van Natta and Gideon Yu -- not Zuckerberg. Both men have since left the company. Let's see how Zuckerberg does on the IPO roadshow, standing on his own two flip-flops. Now we have the latest move, to a dual-class share structure. Google is probably the most successful company that also famously has such a structure -- which it put in place before its IPO. Google's success now provides Facebook cover on this issue. In my view, dual-class structures are inherently wrong -- no matter which company you are. No companies succeed because of a dual-class structure that lets the founders sit in their offices and daydream out the window about the long-term possibilities for their company; any company (including Google) that succeeds with such a structure does so in spite of it. Dual-class structures are inherently antishareholder. They are favored by family monarchs who usually run media companies or monopolistic cable companies. How's that focus on long-term value creation working out for The Washington Post (WPO Quote) and The New York Times(NYT Quote)? Recent academic studies have shown managers at dual-class structure companies waste cash-flow and pursue goals that serve their private interests vs. those of shareholders compared to non-dual-class structures. The fact that some very prominent venture capitalists (Greylock and Accel Partners) on this board are allowing this to go on is an embarrassment to them. Silicon Valley VCs have a practice applying laissez-faire corporate governance -- especially to perceived "rock star" entrepreneurs who can't shave yet. This hands-off approach to not "rocking the boat" with the successful founders would make even East Coast crony capitalist banker directors blush. If Zuckerberg wants to retain supreme control of the company he started (Winklevoss brothers notwithstanding), he shouldn't take Facebook public or take public shareholders' money. Stay private. Rule your fiefdom as a private company in any manner you see fit. That's your investors' problem. Or perhaps Zuckerberg should go to his existing investors (like Jim Breyer, Peter Thiel, David Sze and Li Ka Shing) and tell them that his shares are going to have 10 times the voting power as theirs "for corporate governance reasons." Let's see how they would react to that. It's time for investors to start avoiding companies that take on dual-class structures. And it's time for Zuckerberg and Facebook to grow up. Google co-founders Sergey Brin and Larry Page, as well as Yahoo! co-founders Jerry Yang and David Filo, had the good sense to step aside as leaders early on for the greater good of their companies. Zuckerberg suffers major delusions of grandeur and won't stop, even if it kills the company. Until that changes, private and public investors should steer clear. At the time of publication, Jackson's fund held a long position in MSFT.